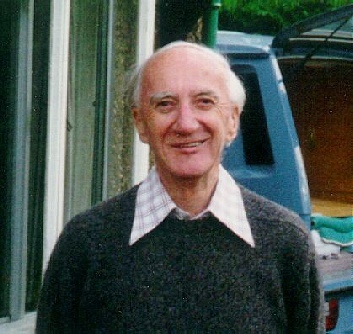 Mike Foster, a much-loved English teacher, died in February 2000. The Farnham Herald subsequently reported on the Memorial Service for Mike Foster, which took place on 7 May 2000 at St Andrew’s Church. “A MEMORIAL service is to be held on Sunday for former Famham Grammar School English master Mike Foster, who died in February. Mr Foster, who lived near Morley Road, worked at the school for more than 30 years. Joining the school in 1949 he was one of the last teachers to join the staff assembled by F A Morgan. 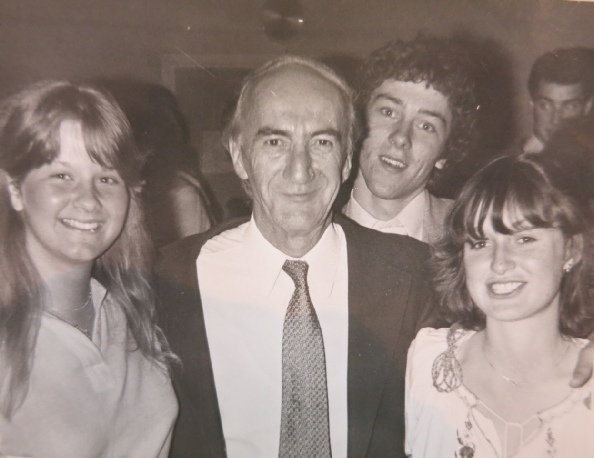 He eventually succeeded the legendary Harold Beeken as Head of English for the Grammar School and remained at Morley Road when the changeover to a Sixth Form College came in 1973. Mike finally retired in 1982. Mike Foster was born at Kirton, in Lincolnshire, and was educated at the village school, then Boston Grammar School and finally St. Edmund Hall. Oxford. Before starting his career he entered the Royal Air Force and after training on Magister Trainers, Tiger Moths and Oxfords he converted to Wellington and Halifax bombers. He began his operational experience in July 1943 piloting four attacks on Hamburg, and went on a “tour” of 33 operations for which he was awarded the DFC (Distinguished Flying Cross). During his early years at the Grammar School he began the modern school library and with limited funds he visited Foyles in London to purchase the first books. He introduced play reading at the school and this became a regular gathering. part and he was refused this request. Mike successfully combined with Alan Fluck to present music and poetry evenings and also produced “The Browning Version” at the Church House in Famham, with most of the furniture for the set coming from the Foster household. In 1960 he combined with Alan Fluck to write and produce “The Coolibah Tree”, with the lead taken by well known pupil Terry Hughes, who later produced “The Two Ronnies” for BBC and “The Golden Girls” for the American audience. For many years he edited the “Famhamian” magazine at the school. During retirement Mike took a correspondence course in journalism and began to write many articles, including holiday experiences that he and his wife Ann shared as they travelled the world in their camper van. He became interested in “benchends” and “misericords”, in fact in any wood carvings in churches and cathedrals, and had several articles published in magazines. For a time he was “Jim Clifford” who added humorous comment to the Frank Scribe page in the “Surrey and Hants News”, and he had humorous short verses included in “The Sunday Times” for several years. Over the years Mike Foster played both football and cricket locally, the latter for Farnham CC and several other local teams. He lived with Ann for more than 47 years and they have four children, with one boy attending the Grammar School. Mike had suffered a stroke in recent years but still had a daily walk and was always in good spirits.